META MULTIPAL pallet racks are the optimal solution for rationalized, well-arranged and adaptable storage of pallets and piece goods. The usual loading devices are Euro pallets and mesh box pallets. Goods can be stored longitudinally or cross-wise as required. 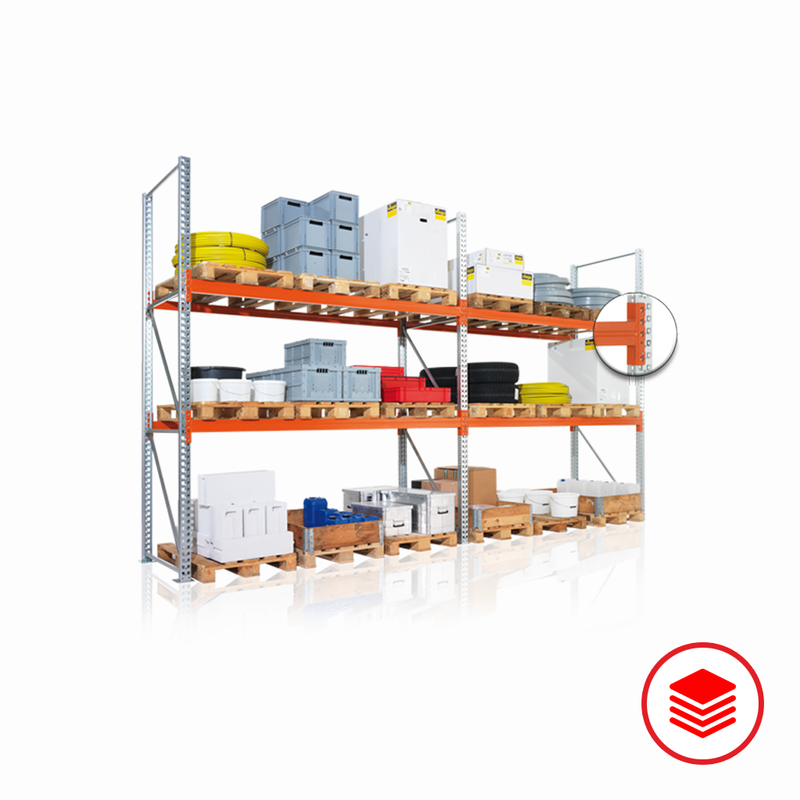 There are numerous accessories available for these pallet racks. They can be fitted either with steel panels or chipboard decks, and can also hold heavy and bulky cardboard boxes and piece goods like a normal shelving system. 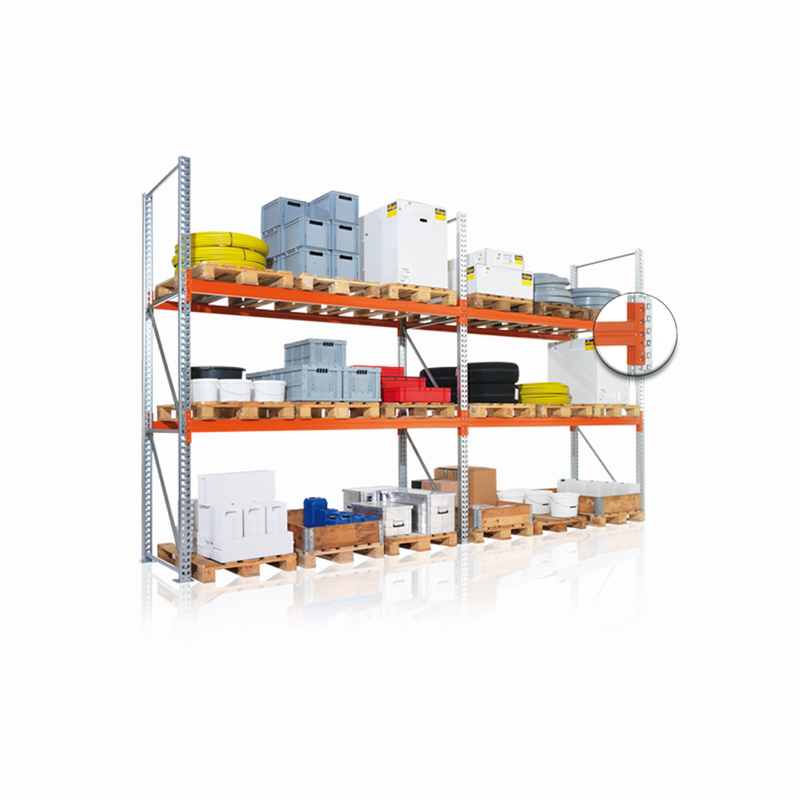 The extensive safety fittings for META pallet racks bring an additional level of safety. These pallet racks are available in heights from 2200 to 12,000 mm (galvanized version), depths of 800 and 1100 mm, and lengths of 1800, 2200, 2700, 3300 and 3600 mm. Other dimensions are available on request. 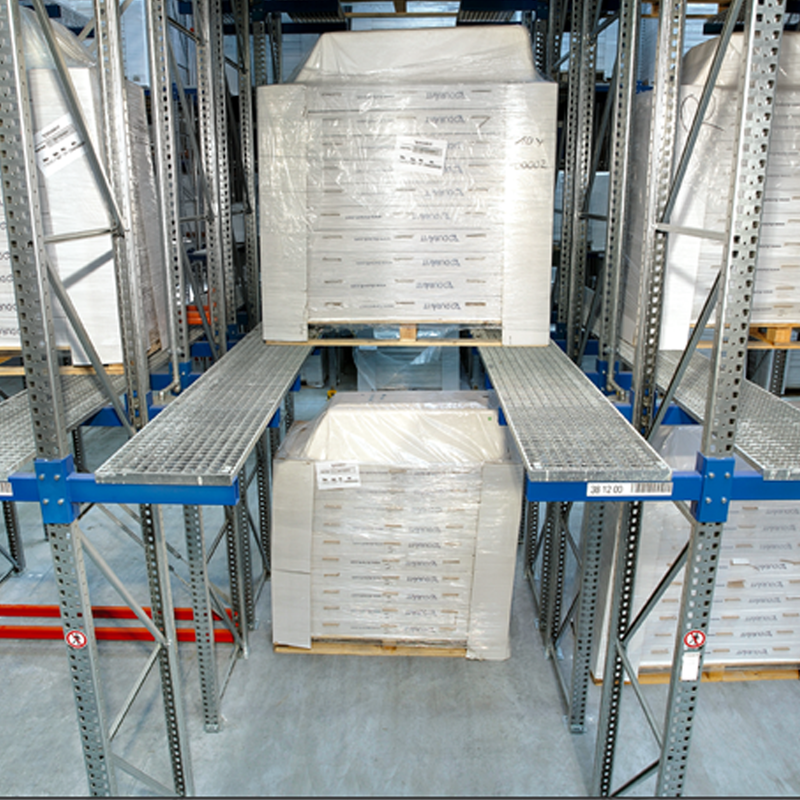 With the large selection of possible combinations, META MULTIPAL pallet racks can be adapted to any warehouse and they are compatible with other META products. Therefore, they can be found in the widest variety of different sectors. The robust MULTIPAL frames are made of cold-worked sections, which are bolted together with cross-bracing on site. The closed box sections ensure that the racks are highly stable. Surfaces can be pre-galvanized or plastic-coated in RAL 5010 gentian blue, in sizes from 2200 mm to 6000 mm (continuous uprights above 6000 mm as extension frame).